SKU: CHM-WYV. Category: Earrings & Charms. Wyverns might not be able to breath fire, but they can still scare off your enemies. Keep this wyvern around your neck, and no one will dare to try and attack you or steal your treasure. 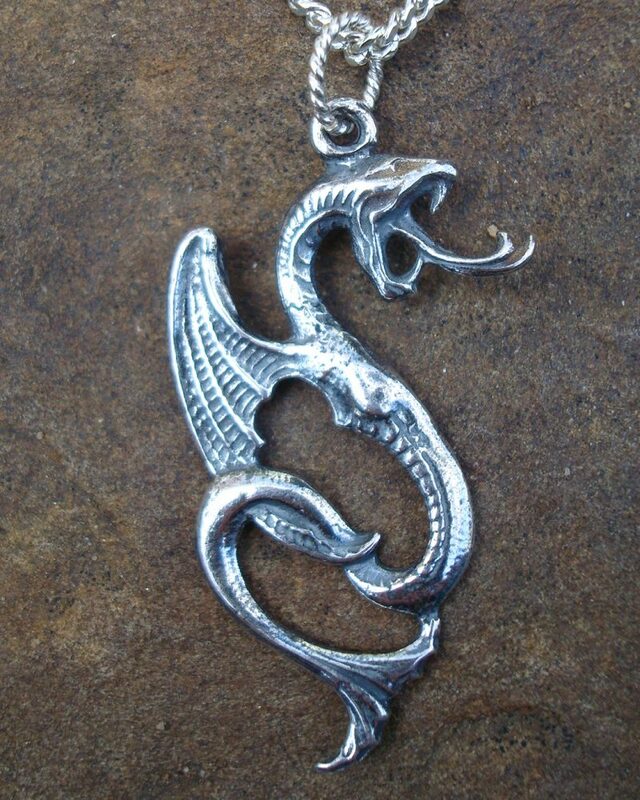 Our Wyvern Charm is available in both bronze and silver and comes with an 18″ silver or gold toned steel chain.